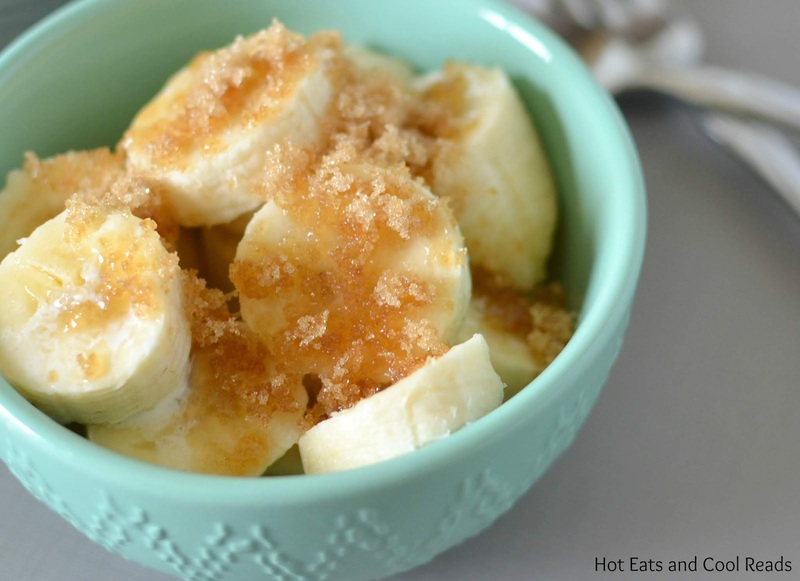 This sweet treat is ready in minutes and is great for breakfast or as a dessert! Today's recipe is a favorite of my daughter, Ella! On our way home from our last trip to Saint Louis in August, we stopped at a local restaurant for breakfast. We spotted this recipe on the menu and decided to give it a try! She loved it SO much at the restaurant, that we came home and made it, and have been making it ever since! She had it yesterday and I bought more bananas today. Why is this Brown Sugar Bananas and Cream so addicting? One. Brown Sugar. Two. Cream. Three. Bananas. Three simple ingredients that go together like white on rice. The brown sugar adds a little crunchiness and sweetness. 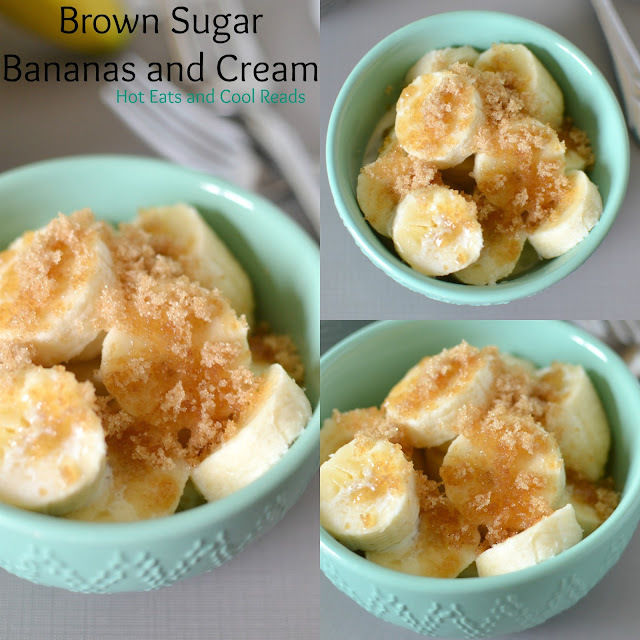 The cream coats the bananas perfectly, and tastes like a dream when the brown sugar melts. 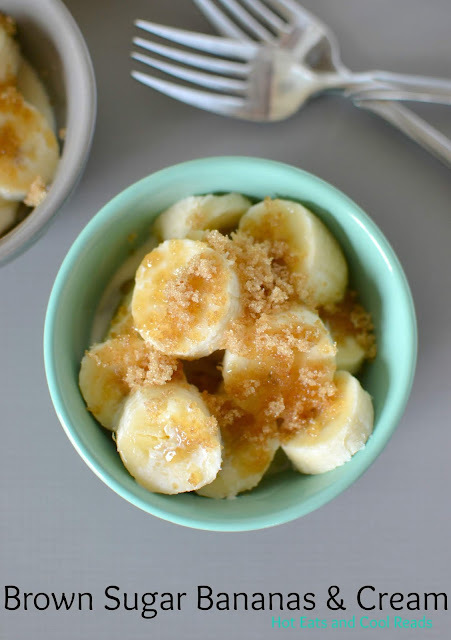 The bananas are the best when there's some crunchy brown sugar sitting on top, then swirl it through the cream before you take a bite! 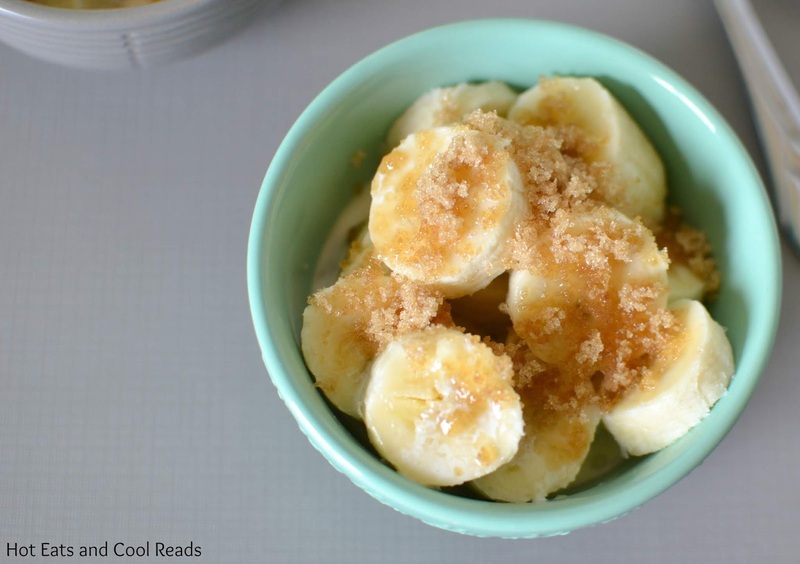 We love these for breakfast, dessert or even an afternoon snack with coffee! This recipe is super inexpensive and such a great way to get your potassium in for the day. 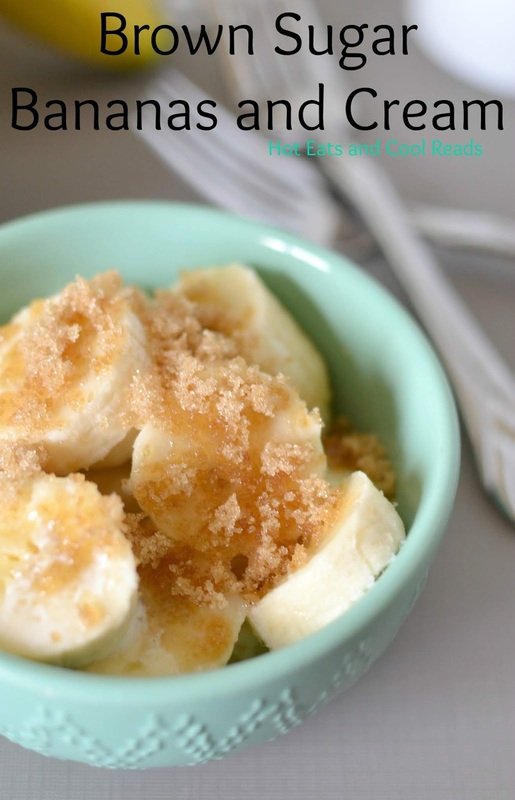 I really love that this snack is easy enough for the kiddos to make themselves! It's great to practice their cutting and measuring skills! Plus, it's so easy, they can make them for the whole family! Pour cream over top, then sprinkle brown sugar over top.